NutriBiotic Buffered Vitamin C, 500 mg, 100 caps. Chlorella 500 mg, 150 tabs. 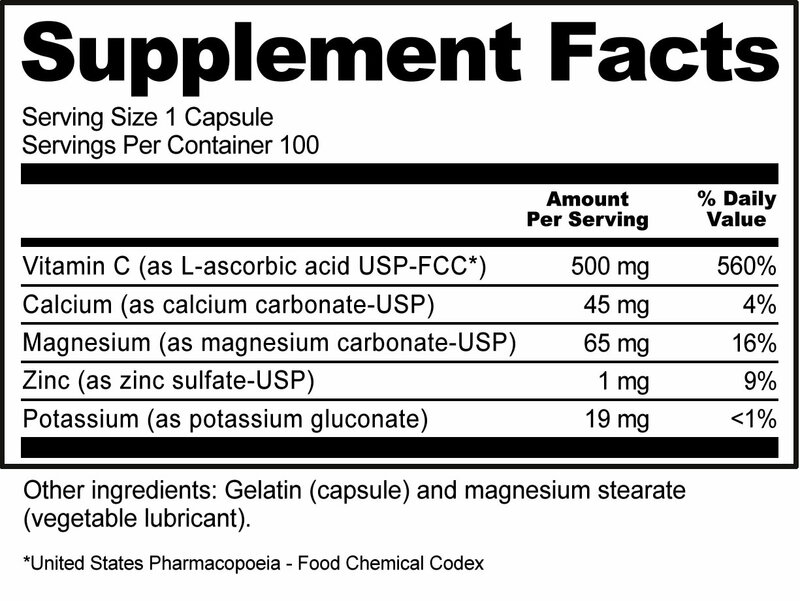 Grapefruit Seed Extract Capsules, Maximum Strength 60 caps. NutriBiotic Buffered Vitamin C Capsules with calcium, magnesium, potassium, and zinc deliver vitamin C in combination with an array of highly bioavailable minerals in a readily soluble form. The minerals (mined from the earth) in this formula are blended with 100% pharmaceutical grade L-ascorbic acid, forming mineral ascorbates which are buffered and, therefore, less acidic. These capsules provide vitamin C and minerals in a pure, pre-measured form. These potent, water-soluble nutrients are encapsulated to be convenient, easy-to-swallow, and rapidly dissolving. Capsule contents may be emptied into food or beverages if desired. L-ascorbic acid USP-FCC* (C6H8O6), calcium carbonate-USP, magnesium carbonate-USP, potassium gluconate-USP, zinc sulfate-USP, gelatin (capsule), and magnesium stearate (vegetable lubricant). Made without milk, soy, egg, yeast, wheat, rose hips, fillers, excipients, lubricants, binders, starch, colorings, flavorings, or preservatives.